Shiro's sketches: top left & two right - 5 min. bottom left - 10 min. Shiro's sketches: top - 10 min. bottom - 30 min. Zer07's sketches: top 5 sketches - 5 min. bottom center - 10 min. Zer07's sketches: top - 10 min. bottom - 5 min. 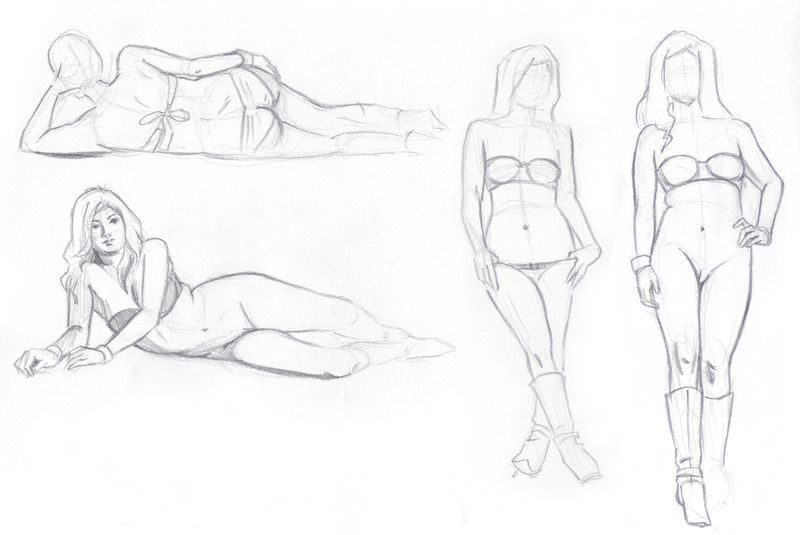 Last month, we went to a Christmas themed Dr. Sketchy's figure drawing session. There were three models dressed up as Santa's lovely helpers, and as usual, they undressed throughout the evening. Here are our sketches from that night!